AngeliaSky Universal Car Audio Amplifier RCA Amplifier Audio Adjuster Gain Level Bass Boost Volume Control Knob for Car, Motorcycle, Speakers, Home Theater (1 pack) by AngeliaSky at Buy Car Now. MPN: 43307-12584. Hurry! Limited time offer. Offer valid only while supplies last. 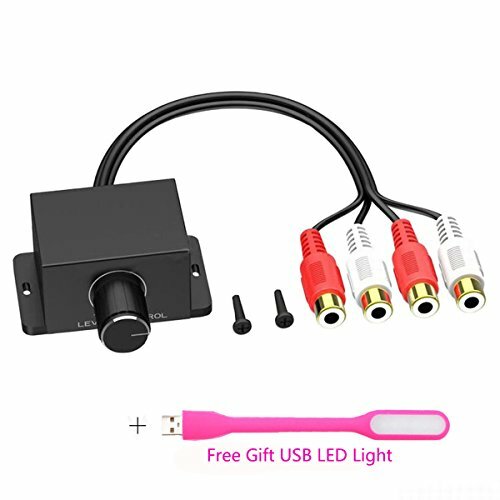 Specification: Color:Black Material: Copper wire Size:2.2*2.0*1.0 inch Interface: 2*RCA Output; 2*RCA Input Cable length: 7.5inch Features: 1. If you have any questions about this product by AngeliaSky, contact us by completing and submitting the form below. If you are looking for a specif part number, please include it with your message.